Bio: See "Pieces to be Performed" section for bios. 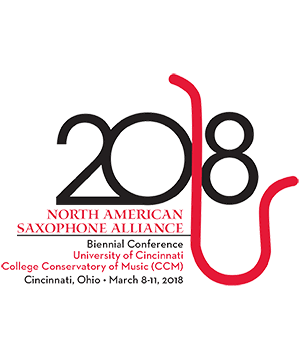 Formed by American saxophonists Noa Even and Phil Pierick in 2009, Ogni Suono is committed to expanding and promoting repertoire for saxophone duo by commissioning and performing new works. Ogni Suono has appeared on concert series such as Permutations (New York City), Journeys in Sound (Boston), Outpost (University of California-Riverside), Switchboard Presents (San Francisco), SONICT (University of Wisconsin-Whitewater), Frequency (Chicago), Take 4 (University of Windsor), and ADJ-ective (Toledo). The duo’s international performances include the inaugural Singapore Saxophone Symposium, Romanian-American Musical Days Festival in Sibiu (Romania), Berlin University of the Arts, Felicja Blumental Music Center in Tel Aviv, Night of the Museums Festival in Budapest, Songkhla Rajabhat University (Thailand), and World Saxophone Congresses in Scotland and France. Emphasizing the importance of education, Noa and Phil regularly supplement performances with clinics, master classes, community outreach programs, and presentations. Please visit ognisuono.com for more information and follow Ogni Suono on Facebook.